Pope Francis has appointed two lay women – experts in bioethics and canon law – as the first two under-secretaries of the mega-dicastery for Laity, Family and Life, CNA reports. 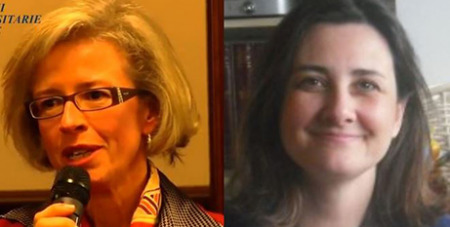 The appointment of Dr Gabriella Gambino for the section on life and Dr Linda Ghisoni for the section on laity, announced in a Vatican communique on Tuesday, brings the leadership of the dicastery more clearly into shape after its establishment in 2016. The Dicastery for the Laity, Family and Life officially began its work September 1, 2016, replacing the former Pontifical Council for the Laity and Pontifical Council for the Family, which were dissolved. The department is responsible for projects relating to the apostolate of laity, families, and the institution of marriage, within the Church, and is responsible for the organisation of events such as the World Meeting of Families, which will take place in Dublin in August 2018. Drs Gambino and Ghisoni join dicastery secretary Fr Alexandre Awi Mello and prefect Cardinal Kevin Farrell, in leading the department. However, the appointment of a third under-secretary for the section on family is still forthcoming. Dr Gambino, 49, is currently a professor at the John Paul II Pontifical Theological Institute for Marriage and Family Sciences, a professor of bioethics at the Faculty of Philosophy, and a researcher and associate professor in the philosophy of law at the University of Rome “Tor Vergata.” She collaborated with the former Pontifical Council for the Laity and the Pontifical Academy for Life from 2013-2016. She is married with five children, and has written numerous publications on the themes of life, family and marriage. In addition to Italian, she speaks five other languages. Dr Ghisoni, 52, works as a judge at the First Instance Court of the Vicariate of Rome, as a professor of canon law at the Pontifical Gregorian University, and as a professor of law at Roma Tre University. Since November 2011, she has worked at the Tribunal of the Roman Rota. From 2013-2016, she collaborated with the former Pontifical Council for the Laity in the field of specialist laity studies in the Church. She is married and has two daughters.